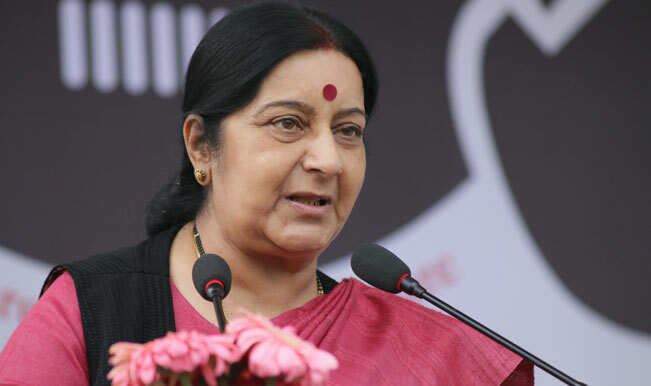 Indian External Affairs minister Sushma Swaraj has directed Indian embassy in Indonesia to grant the visa to a Pakistani-origin woman whose ailing husband has undergone liver transplant in Chennai. Swaraj issued the directives for Shafiqa Bano after the latter on Monday told the minister her husband had to undergo a liver transplant in India. On Wednesday, Swaraj tweeted to the woman asking her to contact the embassy as she had directed them to issue her a visa. The minister is believed to have used her discretion to clear the way for Bano without referring her case to Indian home affairs ministry. Clearance from the department is mandatory for visa clearance concerning Pakistani-origin persons, especially in applications made in third world countries. Swaraj’s action is understood to have been taken on humanitarian grounds considering the medical condition of the person in the discussion. Earlier on October 6, the External Affairs minister came to the aid of a Pakistani girl to ensure she gets admission in Jaipur’s Sawai Man Singh Medical College.